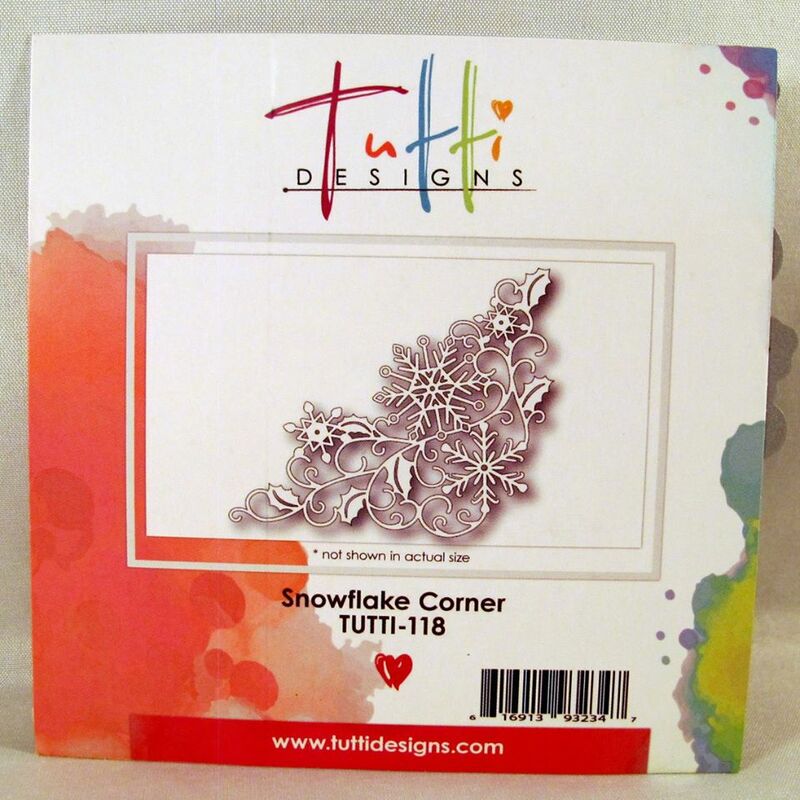 For my card today I have used the gorgeous "Snowflake Corner Die"
This was another one of the incredible July Release dies. I made two cuts of this finely detailed die using white cardstock.I positioned them on a blue background. With white ink I stamped "Let it Snow" three times. I added a pretty shimmery bow to one corner. Finally, I added some rhinestones to the center of the snowflakes on the die-cut. 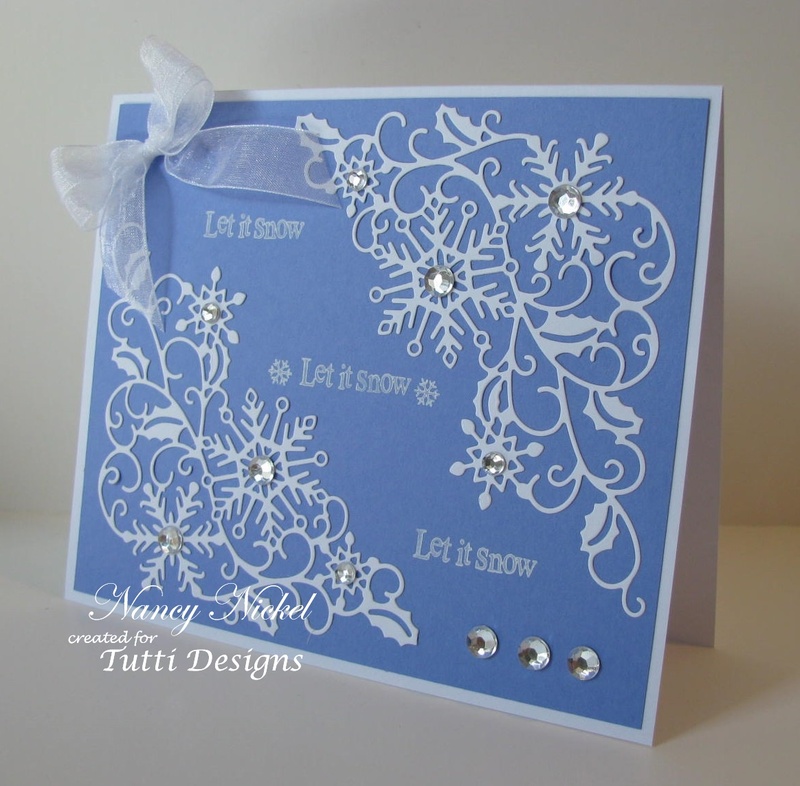 What a beautiful 'snowy' creation Nancy! The blue was the perfect color to go with is gorgeous die! Love the added sparkle too! Well done!!! Awesome inspiration! Very pretty Nancy..love the blue and white, so dreamy!! Beautiful card. Love the rhinestones in the snowflakes. Beautiful Christmas card Nancy! love the colours you have used, my favorite for Christmas.